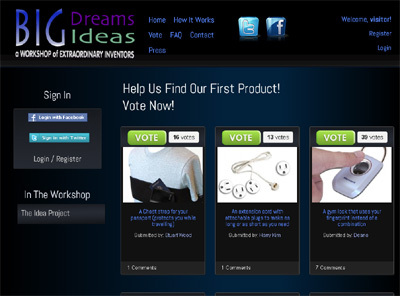 Big Dreams Big Ideas is a Social Product Development company. Basically, we encourage the creative genius of thousands of people across the country to come together, collaborate, conceptualize, develop, design, brand, and even finance the world’s greatest product inventions. We want to empower the everyday person with the ability to not only share their ideas, but bring them into reality and make money in the process. Our community will have the opportunity to work on a variety of projects, including corporate sponsored projects.